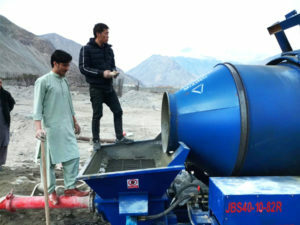 Cement mortar pump is a kind of portable concrete pump. This is designed for dealing with aggregate whose maximum size is ten millimeters. Since it is economical and efficient, this pump becomes a hot product in the construction market. 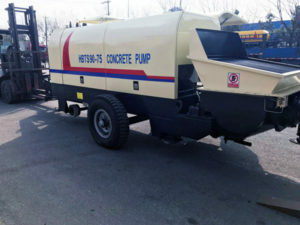 Compared with other concrete pumps, it is mainly used in some narrow places instead of some large construction occasions. The following are some its applications. 1. It can be used for conveying mortar horizontally and vertically to the high-rise buildings. 3. 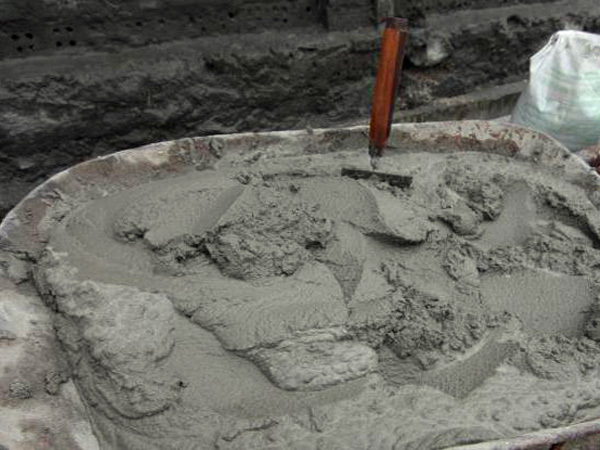 It is helpful for cement pavement collapse in the maintenance of road surface. 4. It is used to reinforce the dam in water conservancy projects. Next let us figure out some features of this pump. 1. It is suitable for different dynamic systems. If you tends to use electricity as the power system, then you can choose from HPS05, HPS10 and HPS15. 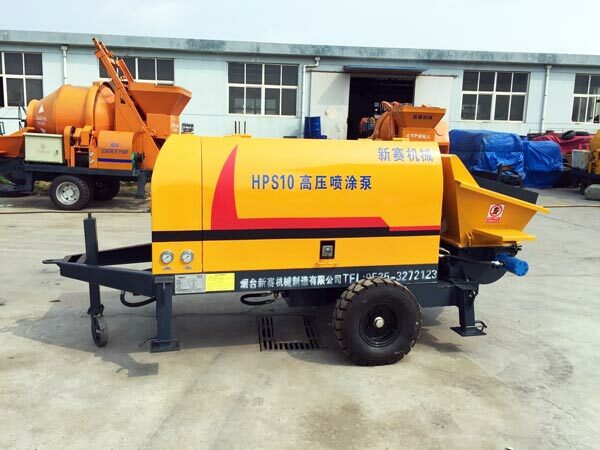 Motor concrete pump can be applied in anywhere there is electricity. If your project is in some places where electricity is not easy to get, we also prepare HPS08R for you, which is driven by diesel engine. Aimix can always provide you with different choices. You can see more related technical parameters from the table below. 2. It is easy to move. Cement mortar pump is a kind of small concrete pump machine with tiny size and light weight. The whole main body is really compact compared with other pumps. For example, the size of HPS05 is 2900x1450x1600mm, which can be moved by one worker or two. As for its weight, the smallest weight is one thousand kilograms. 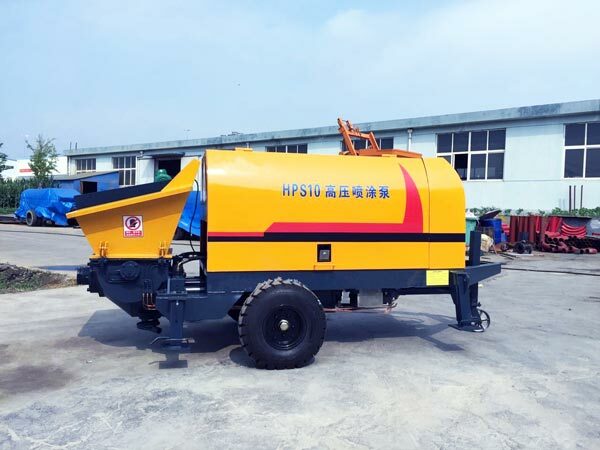 Thus it has the advantages of convenient movement and high efficiency of transferring among different construction spots. 3. It decreases the possibility of blocking. As a typical small concrete pump, it deals with aggregate whose maximum size is ten millimeters. And it will easily screen some aggregate which doesn’t meet the requirements. Thus it can prevent blocking effectively. 4. Its conveying distance is high and long. 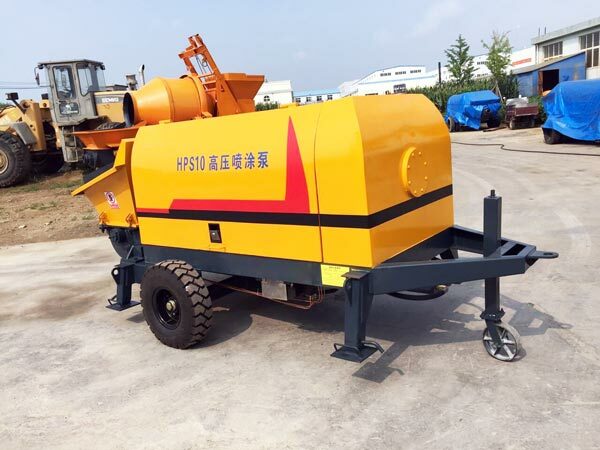 This pump is pumped by hydraulic pressure, thus it belong to hydraulic concrete pump. its concrete pumping pressure is very high, which lead to an effective working process. For instance, the highest conveying distance is two hundred meters. In comparison with its motor, this output is really amazing. Besides, its vertical conveying distance can reach to one thousand meters. Cement pump is a very economical investment. If you are going to purchase it, Aimix is a good choice. As one of the most experienced concrete pump manufacturers, we have the most advanced technology and high-quality components. Our products are very attractive and they have been exported to a lot of foreign countries, such as Russia, New Zealand, Philippines, Ukraine, Oman and so on. Welcome to contact us for more information.